Florian Henckel von Donnersmarck - a mouthful of a name for sure - directs this perfectly paced thriller that won the Academy Award for Best Foreign picture in 2007. 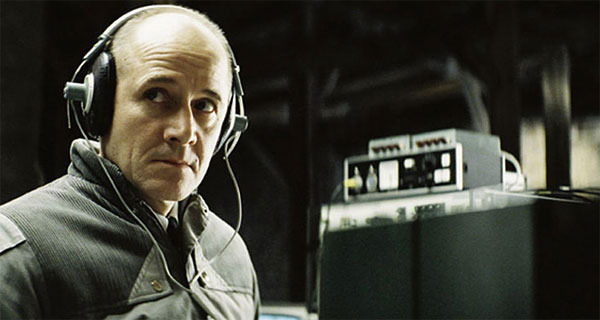 Set in East Berlin when the Stasi ruled supreme and whole arms of the East Germany government spent their time monitoring the lives of others. Into this world arrives Stasi secret agent Capt. Gerd Wiesler (a fabulous Ulrich Mühe), a man of monotonous routine and precision, who is charged with spying on the lives of author Georg Dreyman (Sebastian Koch) - believed to be sympathetic to the West - and his lover, a actor named Christa-Maria Sieland (Martina Gedeck). Problem is the real motive for the spying is not western sympathies - though are these discovered? - but the fact the Minister of Culture has a love-on for Christa. The film works brilliantly on many levels - the suspense building subtlety throughout - as Wiesler's own fascination with the couple slowly creates holes in his Stasi armour. The Lives of Others gives us an example of the tragedy that results when a man's allegiance - to a ideology, to his country - is tested.